Funded by Europa/ERDF, the Ecotech Sudoe project focuses on these issues at the Sudoe European space scale, which includes Spain, Portugal and four south west regions of France. Thank you for your feedback and to get in touch with us! Each of the 8 partners, work together but for the largest public! 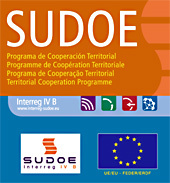 We need interactions with potential users of Ecotech Sudoe GT and deliverables. You are more than welcome to contact us for any question, ideas or projects : Just contact us!